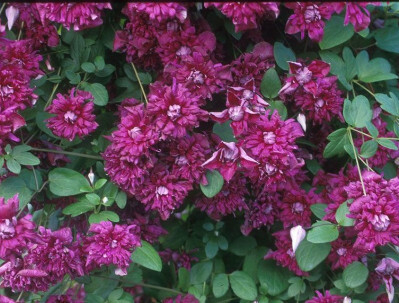 Purpurea Plena Elegans Clematis: heirloom clematis with rare double blooms. Purpurea Plena Elegans is 100+ year old heirloom clematis! Her flowers are always double and about the size of a quarter.